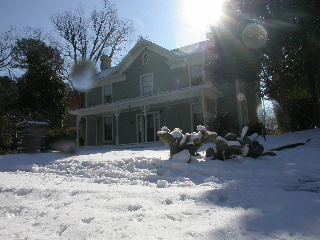 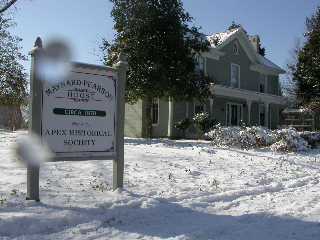 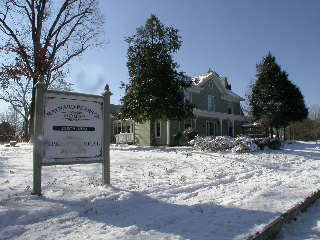 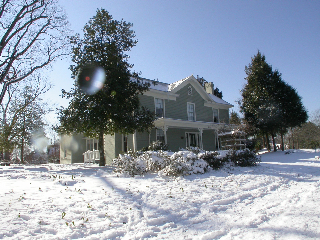 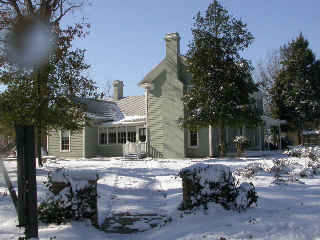 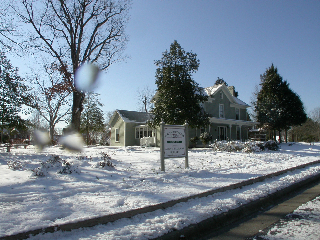 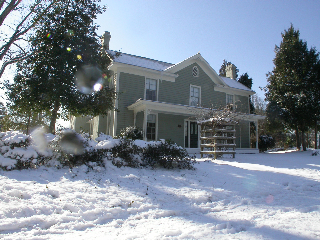 The grounds of the Maynard-Pearson House take on a different appearance when snow arrives. 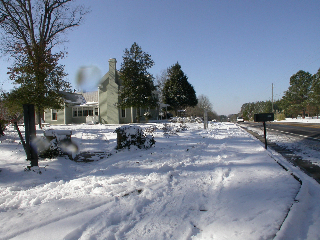 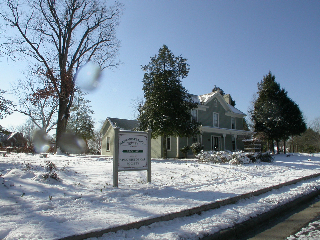 These photos were taken by members Mack and Pam Thorpe on January 21, 2009, on the way into town. 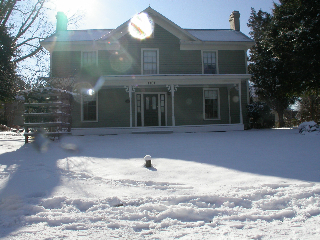 Compare the view to the one above taken during the summer. 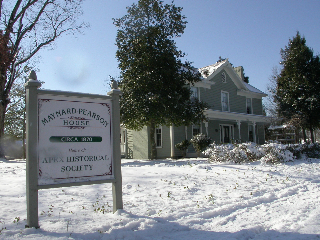 Mack and Pam Thorpe own and operate The Rusty Bucket shop in Historic Downtown Apex and are members and sponsors of the Apex Historical Society.